So simple, yet so satisfying. That describes these French fries so well. 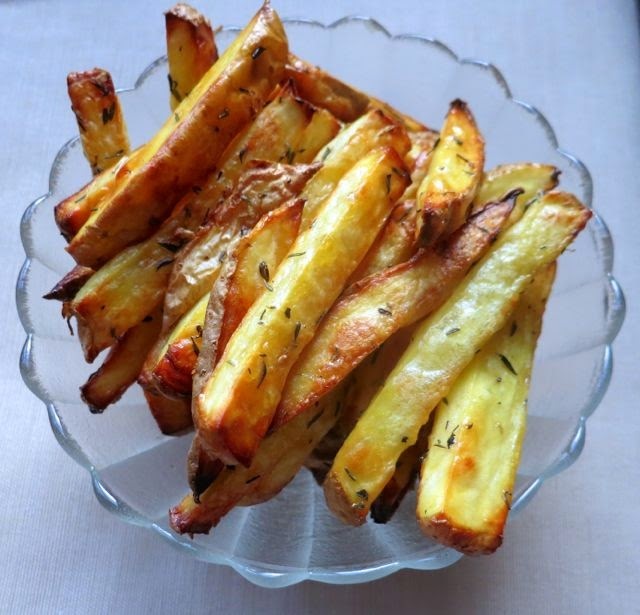 Oven-baked and flavored with sea salt and fresh thyme, these pommes frites (as the French call them) are a great complement to a sandwich or stew. Terry Hope Romero recommends serving these with her Beer-Bathed Seitan Stew in the Vegan Eats World cookbook. Preheat the oven to 450-degree Fahrenheit and line a large baking sheet with parchment paper. Peel the potatoes or scrub very thoroughly if you'd rather leave the skin on and slice into thin french-fry shapes no thicker than 1/2 inch. Place in a large mixing bowl, pour on the peanut oil, and toss thoroughly to coat the potatoes with oil. Sprinkle on the vinegar, thyme, and salt and toss to coat again. 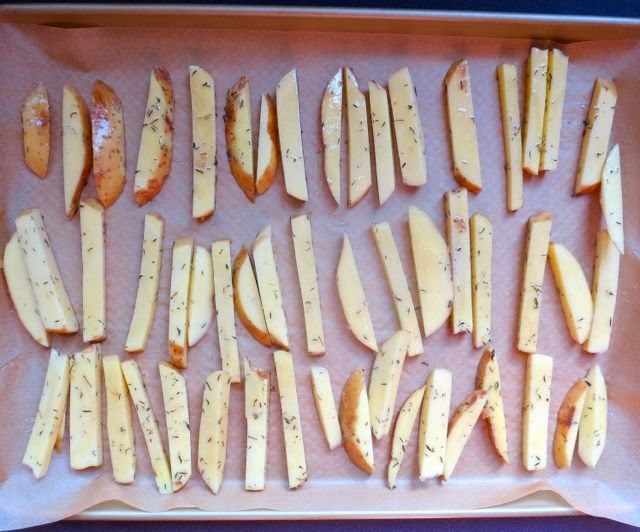 Spread the frites on the parchment paper-covered baking sheet in a single layer. Bake for 20 minutes. Remove from oven, turn each frite over, and bake another 10 to 15 minutes until the edges are browned and crisp.